Spectacular day and night footage from around the beautiful city of Dubai with some short footage of the surrounding desert area. The aerial views shot in amazing 4K UHD video resolution, give a great introduction to the numerous iconic buildings and landmarks around the city in the desert. 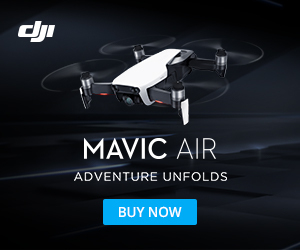 Drone footage was shot with DJI INSPIRE1 and a DJI PHANTOM2 with GOPRO HERE 4 Black EDITION according to the video publisher. One of the best videos to give you an all around flavor of Dubai city. Dubai is located in the United Arab Emirates and is well known for its luxury shopping, ultramodern architecture and a lively nightlife scene. The Burj Khalifa, an 830m-tall tower, dominates the skyscraper-filled skyline. Located just offshore from Dubai city are the famous man-made Palm Islands. One completed and one under construction. Both islands will be host to a large number of residential, leisure and entertainment centers.